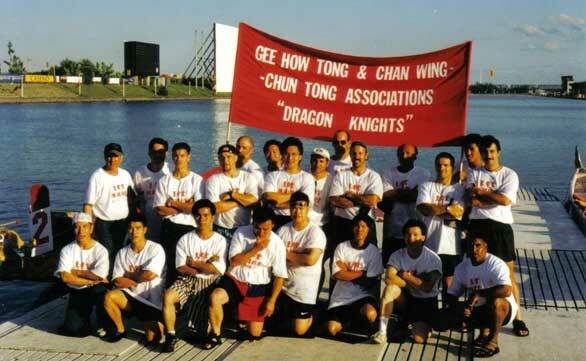 In 1996, the Montreal Chan Dragon Boat Sports Club was founded and organized by Jimmy Chan. At that time, he joined forces with the Gee How Tong and Chan Wings Chun Tong Associations, and became an independent men’s team called Dragon Knights in late 90’s. 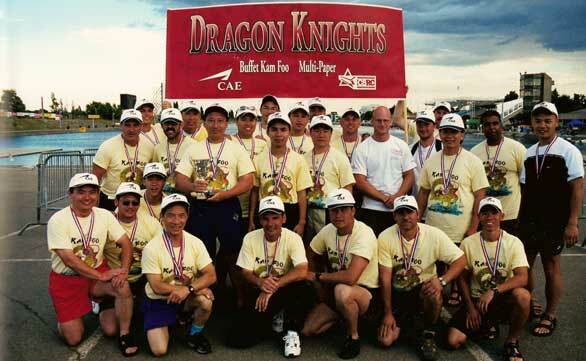 Our men’s team, Dragon Knights has been around ever since dragon boating was introduced in Montreal. The name of this team comes from a great historical mysterious legend of thousands of years: Long ago, a knight was sent to conquer a powerful dragon. After defeating the dragon, the knight became its master, earning the title of the Dragon Knight. 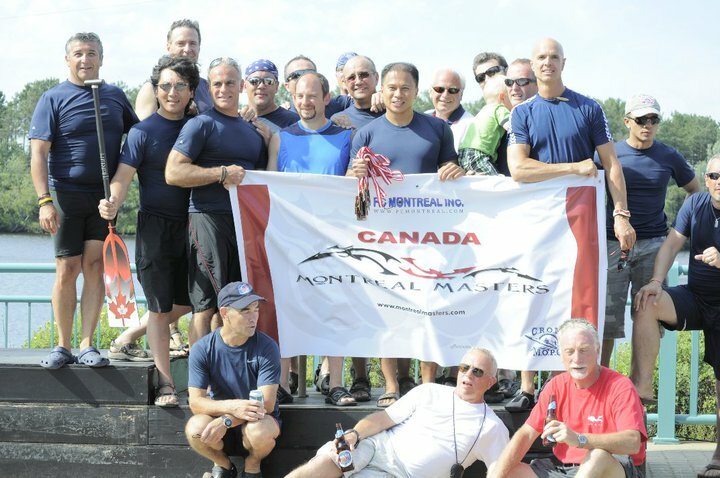 In 2004, our club developed its second team: a mixed team called “Phoenix Warriors” under the Montreal Chan Dragon Boat Sports Club. This very new team has earned their accomplishments through commitment, hard work and teamwork. This very young and newly developed team in 2004 and 2005 have earned their title of three trophies, two plaques, and nine medals in just two year’s time. The Phoenix symbolizes transformation, immortality, renewal and moving towards a new phase in life; Phoenix Warriors was the perfect name for this new team.